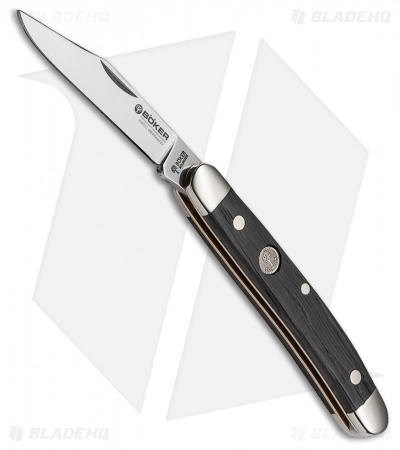 The Boker Pen Classic pocket knife is the perfect tool for someone looking for a small, attractive pocket friendly traditional pocket knife. The 440C stainless steel clip point blade is able to take on your small everyday cutting tasks. Deep brown Bog Oak handles scales are inlayed with a Boker Tree medallion. Polished nickel silver bolsters with pinned brass liners ensures years of reliable use.